ubuntu is a free open source operating system and have a more secure.ubuntu community launch new version of their system every six or one year's gap. 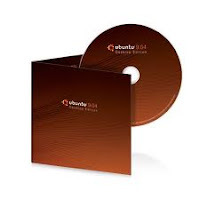 it's difficult to download huge file of ubuntu in slow Internet connection,so you have a one option to get ubuntu CD by order. ubuntu community now provide free CD shipping to your door,they shipping free CD most of countries in world. it takes different time in different countries.i got it in India in four weeks.you have to follow below simple step's to get free ubuntu CD at your home door. step 2:select addition of CD you want,desktop or server addition. step 3:create new account,fill up your shipping details correctly and submit it,wait 3-6 week to get ubuntu CD at your home door.